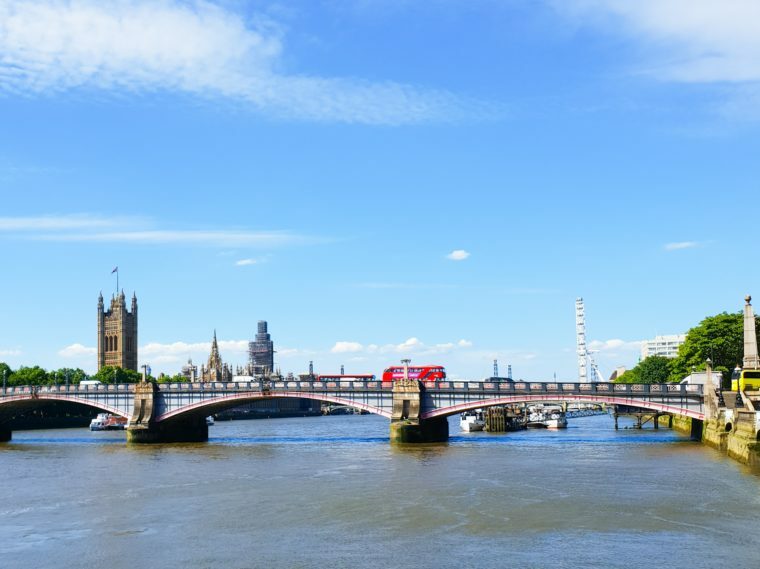 Like any city, London feels easy to navigate when you're living there, but as a Brit who has made the jump to the sunny scenes of Sydney, returning to London for just two weeks is a whole different ball game. Luckily, I was travelling with Vodafone , which made re-discovering London feel like I was saying hello to an old familiar friend. Heading to London sometime soon? 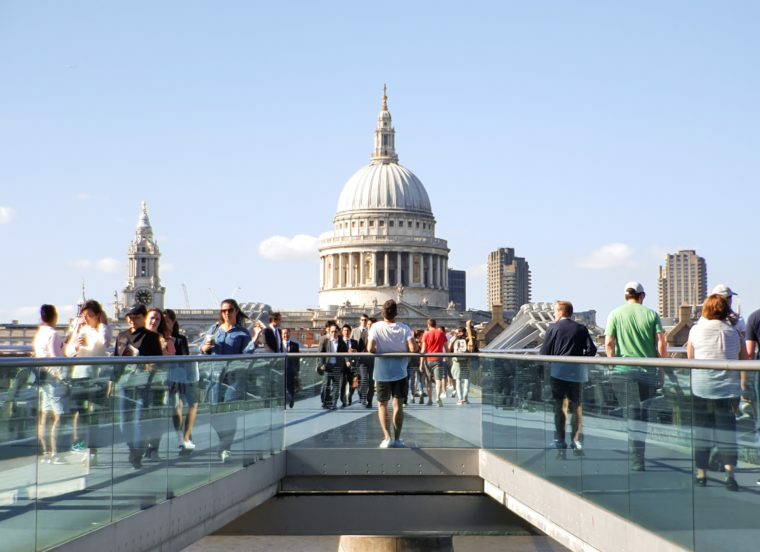 See how $5 Roaming made easy work of unlocking the British capital. At the end of every flight, there’s always that moment when the cabin crew announce that phones are safe to use and everyone makes a mad dash to unlock their devices from Flight Mode. But with $5 Roaming, my phone instantly connected to the Vodafone network, followed by a steady flow of notifications from loved ones, welcoming me home and checking that I had landed safely. Landing at 5am in any airport is a bit daunting, but when you land at Heathrow, you know that you’re quite a way out from the city centre. After 24 hours on a plane, the last thing you want is another hour of public transport. With data on, Citymapper notified me that UBER would take half the time to get me to my hotel door and at an affordable price due to the empty morning roads. It’s a no brainer after any long haul if you ask me! The great thing about London is that there’s always something new happening — whether it’s a special event, a new food market or even a hotel opening. Surfing websites like TimeOut London and London On The Inside means you can swap the tourist traps for local gems. On my trip, I found a newly opened Whitechapel hotel, converted from an abandoned textiles warehouse and then took friends to a food pop-up that was getting a lot of attention in the local food scene. Whenever I’m abroad, I always get snap happy, whether it’s for Instagram or just updating my family with daily photos and videos. Searching for Wi-Fi or running out of data can be really frustrating but exploring with $5 Roaming meant that my sharing habits didn’t need to change. The best part was not having to wait until I returned to my hotel’s Wi-Fi before I could post any Instagram content. As a content creator, it’s hard not to take the opportunity of travel to create some work whilst you’re on the road. Being able to setup a personal hotspot for large file uploads is invaluable, especially when you need to send content back to the office at a moment’s notice. For me, it makes $5 Roaming an important part of my arsenal when abroad. With Vodafone $5 Roaming, you too can make the most of London. Choose when you want to lose yourself in this incredible city and don’t late data issues overshadow your adventures. You can use Vodafone’s $5 Roaming with your phone, tablet or mobile broadband plan for just $5 extra a day in over 60 countries, for up to 90 days in a calendar year. Countries may vary, so check the list of included countries before you travel. For Red Plus & SIM Only Plus Plans, only Your Max Speed data is included while $5 Roaming. Find out more at http://vfau.co/intlroaming. Disclaimer: Vodafone is not involved in any official sponsorship or partnership with the apps listed above. This is not a paid endorsement and the opinions expressed in this article are the author’s own. 1. Countries subject to change, see current list and full details at www.vodafone.com.au/roaming. Available to eligible customers. $5 Daily Charge is in addition to minimum monthly spend. For Red Plus and SIM Only Plus Plan customers, only Your Max Speed data allowance can be accessed while $5 Roaming. For all plans, once your included data or Your Max Speed data (as applicable for your plan) is exhausted, additional data will be automatically added at a charge of $10/GB (“Additional Data”). Additional Data expires at the end of your billing month, is not shareable and can only be used while in $5 Roaming countries. Max 90 days of use in any calendar year. Opt-out at any time, visit MyVodafone.com.au or call 1555. All roaming services subject to network availability. Chris is a content creator with a passion for travel and food.